:Mon to Sat 10am-5pm; Sun 12.30-4.30pm. 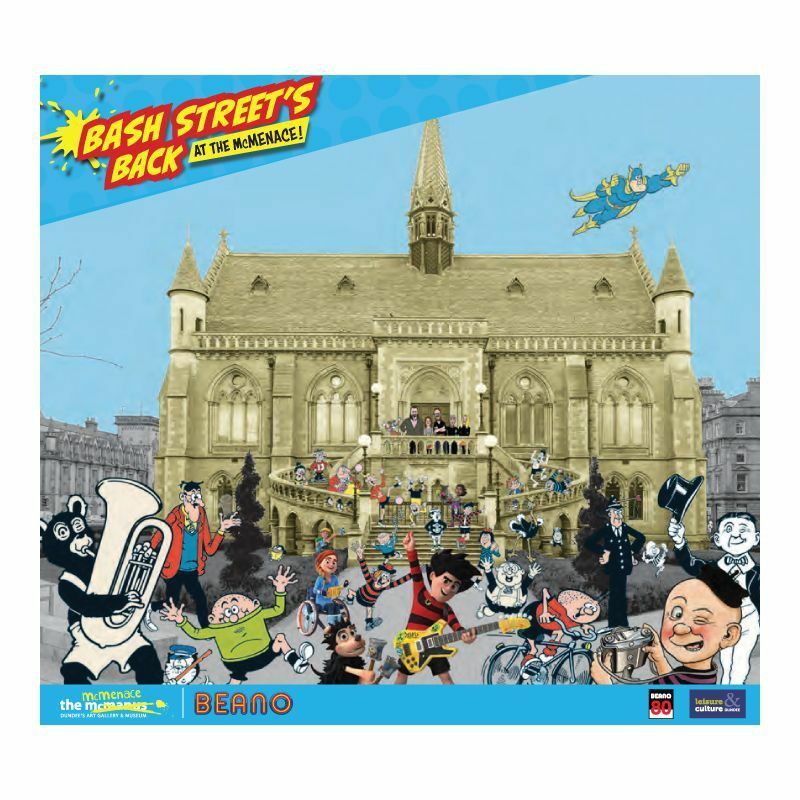 A special collaboration with DC Thomson’s Beano Studios in an awesome exhibition ‘Bash Street’s Back at The McMenace’ coming to Dundee, the world’s capital of comics. The McManus: Dundee’s Art Gallery & Museum is celebrating the 80th birthday of Beano this summer. 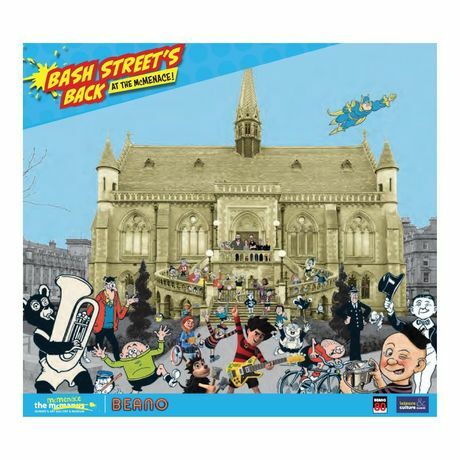 A special collaboration with DC Thomson’s Beano Studios in an awesome exhibition ‘Bash Street’s Back at The McMenace’ coming to Dundee, the world’s capital of comics. The exhibition is a fun and rebellious look at Beano at 80. The show takes in the history of DC Thomson as well as the story of printing and the birth of Beano. There is a special focus on the hilarious Bash Street Kids with their characteristic slapstick humour. Artists and writers who made up Beano’s team and influenced the look and content throughout the years also feature. Alongside is an illustration of how a comic is put together and a glance at the eclectic mix of Beano merchandise that has hit the shelves over the past 80 years. Featured in the show are objects from the DC Thomson archive and the city’s collections. Included is a rare first edition Beano, traditional linotype machine and of course much loved Dennis the Menace fan club memorabilia. The exhibition runs until Sunday 21 October, 2018. Admission FREE. Opening times: Mon to Sat 10am-5pm; Sun 12.30-4.30pm.